Federal law enforcement officials warned Wednesday that data encryption is making it harder to hunt for pedophiles and terror suspects, telling senators that consumers' right to privacy is not absolute and must be weighed against public-safety interests. The testimony before the Senate Judiciary Committee marked the latest front in a high-stakes dispute between the Obama administration and some of the world's most influential tech companies, moving the discussion squarely before Congress. FBI and Justice Department officials say encryption technology built into smartphones makes it harder for them to monitor and intercept messages from criminal suspects, such as Islamic State sympathizers who communicate online and child predators who conceal pornographic images. They're asking for greater access to encrypted data. They face fierce opposition from Silicon Valley companies, who say encryption protects the security of customers' communications and protects them from hackers and corporate spies. The companies have written to the Obama administration and used public speeches to press their case. FBI Director James Comey sought to tamp down tension on Wednesday, telling senators that he believed technology companies were fundamentally on the same page as law enforcement, adding, "I am not here to fight a war." "Encryption is a great thing. It keeps us all safe. It protects innovation," Comey said. "It protects my children. It protects my health care. It is a great thing." The Justice Department says it is not seeking new authorities, though officials say they're concerned that existing laws have not kept pace with advancing technologies. They say end-to-end encryption, in which only the user but not the company can access the data, means that law enforcement cannot monitor electronic communication even with a lawful court order. The Communications Assistance for Law Enforcement Act (CALEA) requires telecommunications carriers and broadband providers to build interception capabilities into their networks for court-ordered surveillance. However, that law doesn't cover new means of communication. Last month, intelligence officials similarly warned about a whole realm of "dark space" on the Internet -- referring to encrypted data -- that's inaccessible to government surveillance. As CBS News' Holly Williams reported earlier this year, the dark net was originally developed by the U.S. military and is now occupied by millions of users on thousands of websites, hosted on more than 6,000 servers around the world. Along with providing a safe haven for terrorists, it's also attracted pedophiles. Deputy Attorney General Sally Yates said Wednesday that the Justice Department believes the companies - not the government - should maintain the key to unlock encrypted communications. She said the concern was especially acute at a time when the Islamic State has used social media to reach followers in the United States, then moved the conversation to encrypted platforms, the officials say. "The current public debate about how to strike the careful balance between privacy rights and public safety has at times been a challenging and highly charged discussion," Yates told the committee. Personal privacy and internet security, she said, "are not absolute. And they have to be balanced against the risks we face from creating warrant-proof zones of communication." Vermont Sen. Patrick Leahy, the panel's senior Democrat, expressed wariness about facilitating law enforcement's access to encrypted material, saying he wasn't sure how much that would help. 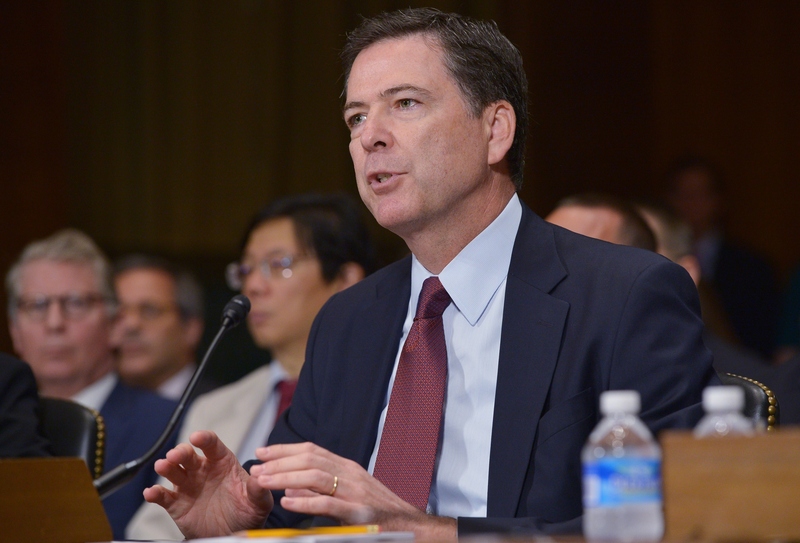 "Strong encryption would still be available from foreign providers," Leahy said. "Some say that any competent Internet user would be able to download strong encryption technology, or install an app allowing encrypted communications - regardless of restrictions on American businesses." Tech companies call the concerns overblown and vow to protect customer privacy. They say that any "key" that could give law enforcement access to encrypted devices could presumably be exploited by hackers and criminals, too. In a speech last month, Apple CEO Tim Cook said the company would not waver in offering encryption tools to customers and said weakening encryption would have a "chilling effect on our First Amendment rights and undermines our country's founding principles." In a May letter to the White House, a tech-company coalition argued that strong encryption protects against "innumerable" threats and urged the government to "reject any proposal that U.S. companies deliberately weaken the security of their products."